This year’s eagerly awaited International Petroleum Week takes place in London from 26-28th February, and brings together important stakeholders from the international world of oil and gas. The three day gathering promises opportunities to network, learn about the latest developments in the global industry and to rub shoulders with key personnel from different sectors including exploration and production, finance and government. The event culminates in the IP Week Dinner at the Hilton on Park Lane on Friday 28th February. IP Week is a pivotal annual event for oil and gas professionals from a range of different disciplines, including those who work in the world of energy commodities. The event addresses the headline issues affecting the industry, including the political environment, innovation, business, finance and technology, with round table discussions, conferences and networking events. The purpose is to provide a venue for key players to gather, assess the current state of the sector and look at future trends. 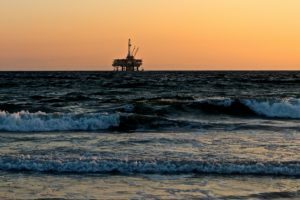 What are the current trends in the oil and gas industry? 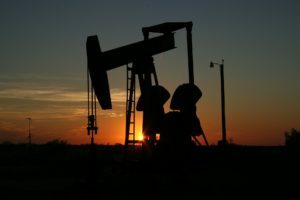 As any energy commodities trader will tell you, oil and gas prices are determined by the fundamental rules of supply and demand which have been the core principles of economics since buying and selling began. 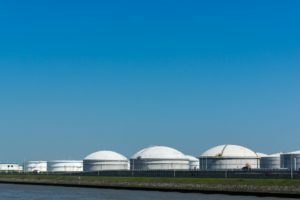 Oil and gas companies are engaged in a permanent balancing act between the volumes of oil and gas produced and the amount which people want to buy. In addition, the industry is affected by a range of existing and emerging global geopolitical issues. According to commentary from PWC which looks at trends for 2018/2019, the industry is in a period where it is feeling healthier after the previous downturn, and with the global demand for oil continuing to grow, there could ultimately even be a price crunch at some point. The challenge is for operators to find effective ways to deal with ongoing volatility in an efficient way and also to mitigate global geopolitical challenges at the same time. Most key players and industry watchers understand that this is a pivotal time for the industry. As those who follow the ups and downs of energy commodity training will confirm, traditional energy resources have seen volatility over recent years. The ongoing debate around sustainability and renewable sources of energy continues to have an impact on planning for the future of the industry. At Matchpoint Recruitment we make it our business to keep fully abreast of developments in the industries where we work because the wider macro picture directly affects company hiring strategies and individual jobs. We will be closely following developments at IP Week to learn as much as possible about current developments in the global industry as we progress into 2019. If you are a candidate looking for a new role in energy commodities or are a company looking to hire – we will be delighted to help. Take a look at our current positions or find out more about how we support clients in the industry.